In 1996, Capt. Philip Bauerlein helped TowBoatUS Clear Lake founding owner Capt. Dave Huston get the then-new, 24-hour towing business for recreational boaters off the ground by sharing his knowledge about commercial vessel towing. Now, 22 years later, Bauerlein, known locally as “Capt. Pip,” is the new owner of TowBoatUS Clear Lake after Huston sold the business before recently passing away. A lifelong Clear Lake area resident and recreational boater, Capt. Pip has had a nearly four-decade career as an officer on ships and tugs as well as owning local charter and sailing companies. About a year ago, he returned to work at TowBoatUS Clear Lake seeking the opportunity to help Huston again, this time as a part-time towing captain providing 24/7 assistance to boaters when their vessels break down or need a tow, battery jump, fuel drop-off or soft ungrounding help. “When the company started, I was involved with Dave and his son in towing and salvage work,” said Capt. Pip. “Back then, the on-water towing business was in its infancy. As the years passed, it was good to see Dave’s success in growing the company. 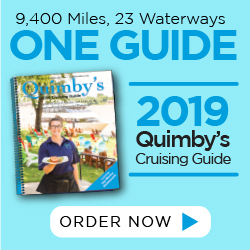 I’ve always enjoyed working for him and helping boaters in our area, and we will continue to be the trusted help to call for on-the-water troubles, 24 hours a day.” Capt. Pip’s wife, Holly, also known as “Mrs. Pip,” handles marketing for the business. At age 13, Capt. Pip’s dad turned him loose on Clear Lake in a 13-foot Jon boat. At 14, he operated his dad’s 33-foot shrimp boat on Galveston Bay. Later, he ran commercial vessels and tugs in the oil patch and holds multi-tonnage Coast Guard licenses for both ships and sailing vessels. 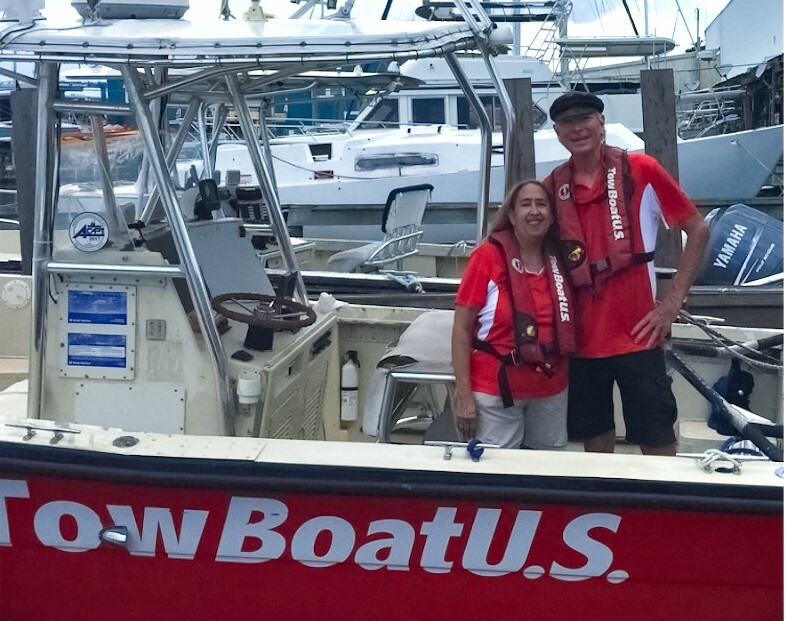 As a TowBoatUS towing captain, he’s seen all of the challenges boaters have, from engine breakdowns to dealing with the region’s notoriously shallow waters. “Soft ungroundings are a big part of our business,” Capt. Pip said. Much like an auto club for recreational boat owners, BoatUS offers an Unlimited Saltwater Towing Membership for just $149 a year. Boaters face costs that average $750 per towing incident – with some paying into the thousands out of pocket – when they don’t have an annual BoatUS Towing Membership. TowBoatUS Clear Lake also has the honor of being one of the first TowBoatUS locations in the nationwide TowBoatUS on-water towing fleet, which today has more than 300 locations and 600-plus red TowBoatUS response vessels. Capt. Pip maintains a fleet of three response vessels located at Seabrook Marina. They are easily recognizable by their red hulls and TowBoatUS logos emblazoned in bright white letters on their sides and are rigged for towing, jump starts, fuel delivery and soft ungroundings. Separate from BoatUS on-water towing services, Capt. Pip’s company also refloats sunken boats and provides salvage services. Boaters can reach TowBoatUS Clear Lake by hailing on VHF channel 16, by calling the company directly at (281) 830-3209, by phoning the BoatUS toll-free 24/7 Dispatch Center at (800) 391-4869, or via smartphone using the BoatUS App. More information can be found at BoatUS.com/Membership.